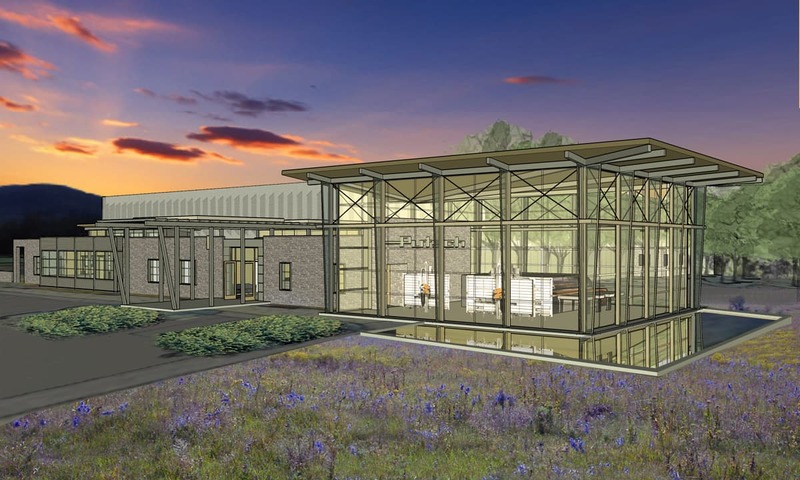 A concept rendering of a new addition to an existing manufacturing facility. The addition included a showroom to display specialty products, a spacious reception lobby, conference rooms, private offices, open office/work areas, restrooms, locker rooms, a break room, and an outdoor dining terrace. The key objectives of this project were to use daylight to brighten the interior spaces, add good ventilation, and to forge a connection to the outdoors. amenities.